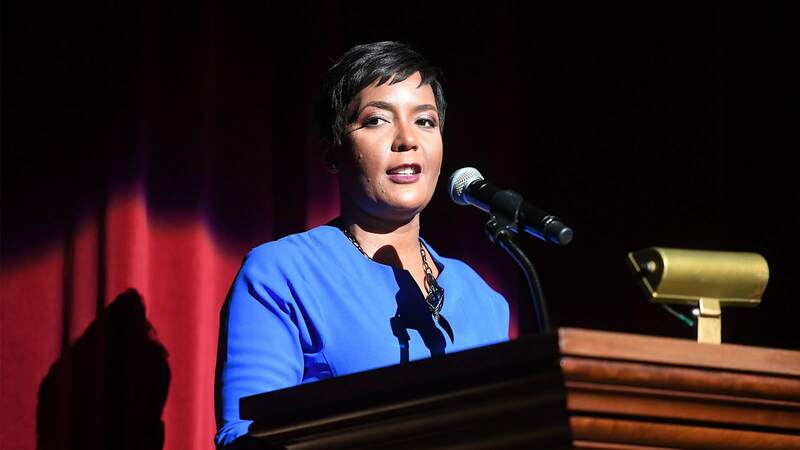 Since taking office as mayor of Atlanta in January 2018, Keisha Lance Bottoms has made it her mission to unite a city that was embroiled in corruption and bribery and push it towards a community of unity, diversity, and inclusion. Showing that she's a woman of her word, on Oct. 3, Mayor Bottoms signed legislation sponsored by Councilmember Carla Smith that would rename a street called Confederate Avenue to United Avenue. "The imagery and symbolism of these names and monuments represent systematic injustice, persecution, and cruelty. That is not who we are as a city," says Mayor Bottoms. This legislation marks the beginning of more efforts by Bottoms to remove Confederate emblems throughout the city. For years, residents of southeast Atlanta have walked to Grant Park together on a street whose name divides communities across the country: Confederate Avenue. After an online petition asking for the street to be renamed garnered over 10,000 signatures, the city council began to listen. And on Oct. 1, the Atlanta City Council voted unanimously to change the name to United Avenue, as decided by community members. "We can't normalize hate anymore. Symbols are meaningful, and allowing Confederate flags, statues, and street names serve only to perpetuate the fallacy that the hate they represent deserves equal time and attention from our society," says Joe Thomas, the Atlanta resident who started the petition. The petition was one of many endeavors across the nation to remove city streets, monuments and another Confederate iconography nationwide reignited after the violent white supremacy rally in Charlottesville, Va. MAKER Roberta Kaplan is now leading a lawsuit against the white supremacists who organized the rally that resulted in the death of Heather Heyer on Aug. 11. Those who have been vocal against the removal of the Confederate emblems argue that the erasure of an integral albeit uglier part of American history. "This thing that someone has contrived that everything to be Confederate to be some Nazi group or some hate group, it sickens me to my very core," said David Moreland at an Atlanta City Council meeting. However, those in support believe it is an important step to continue to move away from discrimination and prejudice and toward equality and inclusion. "Contrary to the charge it represents the removal of inconvenient history, I would assert that removal is an opportunity to complete a history of reconciliation, integration, economic excellence and transformation," says Ernest Hopkins who signed the online petition. While it will take time to change the signs and local addresses along the street, the historic name change will fittingly become effective on Jan. 21, 2019, Martin Luther King Jr. Day. "For our community to truly be One Atlanta, we must write a new chapter in our own history," said Mayor Keisha Lance Bottoms.